Dover District Council is not concerned with the truth and continues to suppress the evidence that supports the long-standing residential use of my property. Nadeem Aziz, Dover District Council’s Chief Executive, commissioned an investigation into my case and appointed his Chief Investigator, to carry it out. After a thorough investigation, which took many months to complete, Mr Aziz was presented with independent evidence, which was obtained from the Council’s own working papers and files, and from interviews with employed officers. The evidence that he was presented with exposed misuse of delegated powers, abuse of planning power, deliberate manipulation of planning law, negligence of a duty of care and unacceptable double standards. Despite the overwhelming weight of evidence and the numerous findings of maladministration with injustice, which the investigation uncovered, Mr Aziz refused to accept his own Investigator’s findings, which indicates that he does not want the truth to prevail in this case. Mr Aziz may not like his Investigator’s conclusions but the evidence is irrefutable and his refusal to accept it amounts to a deliberate concealment of the Council’s wrongdoing and demonstrates a policy of avoidance and cover-up. His motivation for his conspiracy to conceal the fraud committed by Dover District Council is unclear but he is by his actions implicated. It seems that Mr Aziz’s investigator has had his employment terminated. When will the elected members address the unacceptable behaviour of its employed officers; some of whom are blighting the authority in their pursuit of an agenda that is a malicious and deliberate attempt to destroy my home and my rights as a resident? The manner in which Dover District Council operates its planning decision-making should be of concern to everyone because what should be a democratic process is failing because the paid staff dictates. Committee Members are not questioning the edited planning reports of council officers, but are merely rubber-stamping their recommendations, thus leaving the process open to abuse. Since 1984 successive Committees have made perverse decisions about my case, without being in possession of the full facts. Decisions have been made, based on false and misleading information presented by the planning department, and this has led to serial acts of maladministration. 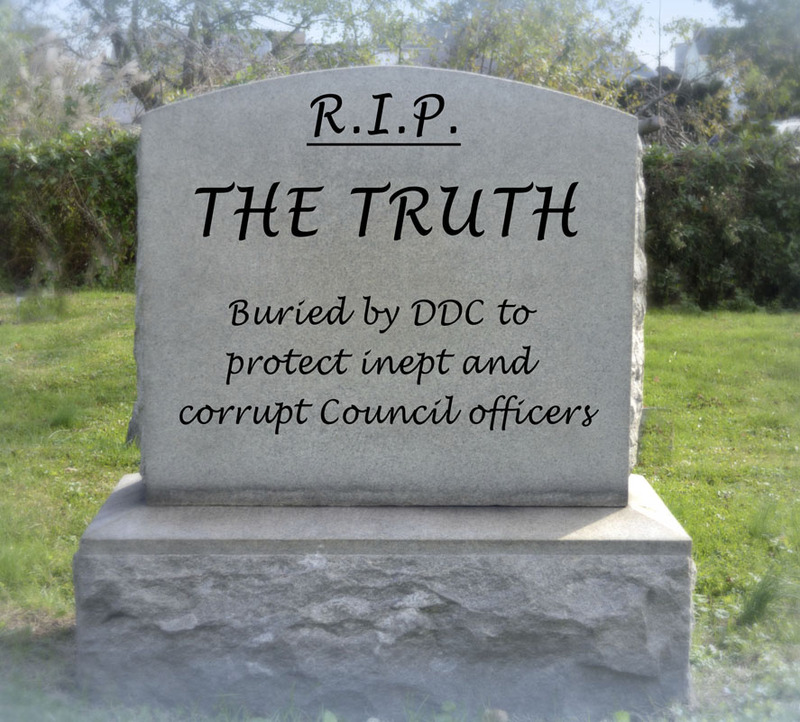 Dover District Council is frightened of the truth and is out to gain its ends by means more foul than fair. They have repeatedly ignored my statutory rights and their ongoing persecution is based on deception, illegal actions and organised lies amounting to a conspiracy. The arrogance and indifference shown by Committee Members during this time is inexcusable and it is questionable why they refuse to accept the truth. Over the years I have written to all members of successive Planning Committees and not one Councillor has ever had the courtesy to reply. 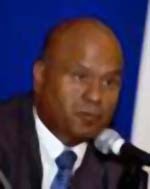 The Council has disregarded every attempt by me to resolve this dispute by negotiation, preferring to waste huge amounts of taxpayer’s money in an attempt to cover up the previous administration’s errors in what appears, to a number of independent observers, to be a vendetta. It is evident that Councillors prefer to turn a blind eye to bureaucratic law-breaking, and won’t do anything to get rid of the corruption. The Council’s Chief Executive, Nadeem Aziz, refuses to answer any of my questions and refuses to meet me, while at the same time he authorises the release of incorrect and misleading statements to the press. Deception can occur at committee level when an applicant makes a planning application or when the council pursues wrongful enforcement action against a lawful use. However, most corruption begins at officer level and, worryingly, this law breaking is protected in England as there is no statutory requirement for the police to take action and therefore officers of the council are immune from prosecution. Planning crime goes unpunished and officers are never dismissed nor prosecuted, but are given early ‘retirement’, moved sideways to another department, or given false redundancy, which is in itself an offence. Before any planning application reaches committee level, it is first dealt with by the planning department and it is here that the planning officer can begin his or her ‘punishment’ against the applicant by carefully perverting the application and manipulating evidence. This has undoubtedly occurred in my case and when they do foul up, what does it matter to them anyway? They know their colleagues will close ranks to protect them and the legal department will lie through its teeth to protect the officer. Consequently, having experienced a serious injustice I am developing this web site to portray the correct facts. Further on I explain about the complaint I made against Dover District Council’s Planning Department that led to an investigation into my case, which resulted in DDC being found guilty of maladministration with injustice on a number of counts. The Chief Executive’s refusal to accept the honest findings of his own investigation amounts to a deliberate concealment of the Council’s errors. Dover District Council officers are guilty of Misfeasance in Public Office and it is scandalous that Nadeem Aziz, who seems to have no concept of natural justice, has taken no action against them. In any other organisation the individuals responsible would be suspended, or at least relieved of their responsibilities pending a thorough investigation. Mr Aziz’s neglect to suspend officials with serious allegations against them is a disgrace and his failure to mount a wider investigation raises even more disturbing questions. The fact that he spent months trying to bury or ignore the findings of an investigation that he personally commissioned, and which cost the local taxpayer many thousands of pounds, also raises serious questions about his motivation to cover-up this issue. It may have something to do with the fact that before his internal promotion to Chief Executive he was in charge of the planning department that failed in its duty of care to correct the clear violations in law perpetrated by the very department which he previously controlled. The whole scenario reeks of a cover up and a conspiracy.